For the past three months, I have taught a Sunday School class entitled, ‘Honoring God With Our Money.’ In this final lesson, we looked at true wealth and how to cultivate it. Money is a necessity in our world and it serves many purposes. However, money in and of itself cannot bring true happiness, contentment, or joy. And money most certainly cannot buy eternal life. The Bible teaches us that true wealth can only come from having a personal relationship with Jesus Christ. To enter into a personal relationship with Jesus, we must admit that we are sinners in need of a Savior, recognize that Jesus is the only one who can be our Savior, and accept His freely-offered sacrificial death as cleansing for our sins. Repentance and faith in Jesus leads to true peace on Earth and ultimately to an eternity in Heaven. In Proverbs 22:4, King Solomon wrote that “Humility and the fear of the Lord bring wealth and honor and life.” We must come to the Lord humbly admitting that we are sinners and in fear that He will give us the just punishment our sins demand before we can truly accept His gift of salvation. In accepting Jesus as our Savior, we become children of God and joint heirs with Christ in the abundance of Heaven. When the rich young ruler came to Jesus and asked what he must do to obtain eternal life, Jesus told him to obey the commandments. When pressed for what else was necessary, “Jesus answered, ‘If you want to be perfect, sell your possessions and give to the poor, and you will have treasure in heaven. The come, follow me. '” ( Matthew 19:21) The next verse tell us, “When the young man heard this, he went away sad, because he had great wealth.” (Matthew 19:22) This young man was so tied to his earthly riches that he was unwilling to give them up for the true riches of Heaven. How very sad! Our earthly possessions are fleeting, but true wealth will last forever. I urge you, as you read this post, to consider whether you are cultivating true wealth through your relationship with Jesus Christ and through your actions. If you are not, it’s not too late to start. For those of you who do know Jesus Christ as your Savior, I urge you to use the money God entrusts in you wisely and to honor God in all that you do. If you have created a budget and are following it, eventually you will wind up with more in savings than you need for an emergency fund. At that point, you should think and pray about investing your excess money to meet future needs. The following rules of investing are adapted from Larry Burkett’s book, Family Budgets That Work. Never invest money you cannot afford to lose. All investments have an element of risk and the possibility exist that you might lose all or a portion of the money you have invested. One only has to look at the variability in the stock market to see that this is true. Never get involved with things you don’t understand. Don’t try to buy individual stocks unless you know the company well and have confidence that it is well-run. Demand sufficient information to thoroughly evaluate the opportunity. Take the time to thoroughly research possible investments. Seek good, non-involved Christian counsel. There are many knowledgeable Christian financial counselors who will discuss your needs and goals and help you to make wise investment decisions. Set a minimum time to pray and seek God’s direction. Don’t let anyone rush you into an investment decision. If the opportunity is only available for a limited time, it is probably an opportunity you should forgo. Once you have God’s direction, write out an investment plan. A written plan will help you keep your goals in mind and help you make investment decisions that are consistent with your goals. Avoid ‘get rich’ schemes. Plan for slow, steady growth. If it sounds too good to be true, then it almost always is. Proverbs 21:5 The plans of the diligent lead to profit as surely as haste leads to poverty. Proverbs 28:20 – 22 A faithful person will be richly blessed, but one eager to get rich will not go unpunished. To show partiality is not good—yet a person will do wrong for a piece of bread. The stingy are eager to get rich and are unaware that poverty awaits them. Most financial experts recommend that everyone should make a regular habit of saving 5% of their income. A goal for savings should be to accumulate enough savings to cover 3 -6 months of living expenses as a cushion for periods of unemployment due to layoffs and extended illness. For those who are struggling financially and are unable to meet current expenses, savings is not an option at present. Everyone else should make a goal to save at least a small amount out of each paycheck and to increase that amount as circumstances allow. Getting into the savings habit can be difficult, so I offer the following steps to assist in getting started on a regular, steady savings plan. 1) Acknowledge that God’s word tells us that it is wise to save in the good times for lean times. Seven years of great abundance are coming throughout the land of Egypt, but seven years of famine will follow them. Then all the abundance in Egypt will be forgotten, and the famine will ravage the land. The abundance in the land will not be remembered, because the famine that follows it will be so severe. The reason the dream was given to Pharaoh in two forms is that the matter has been firmly decided by God, and God will do it soon. 2) Develop a system for putting money directly into savings. a. Use a company payroll automatic savings deposit, if possible. This puts the money directly into savings before you receive it. b. Set up an automatic bank transfer from your checking account to your savings account. c. Write your savings account a check just as if it were a creditor. 3) When an existing debt is paid off, allocate any extra money toward the next largest debt. When all consumer debt is paid off, then reallocate that money to savings. 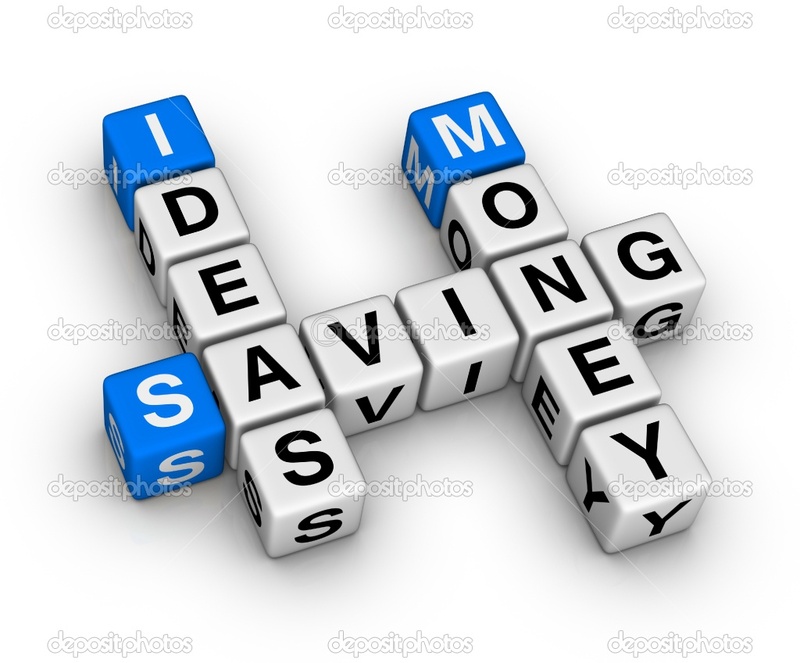 5) Use the money savings tips provided in an early blog to reduce expenses and have more money to put into savings. This week lesson in our series on honoring God with our money covers way to deal with debt and to build credit. Today we will look at ways to maintain good credit and improve poor credit. A good credit score is important to maintaining a good reputation. It is easier to maintain good credit than it is to rebuild a poor credit rating. A credit score of about 680 or higher is generally considered to be good or excellent. If your credit score is not good, you should take steps beginning today to rebuild your credit. 1) Improves your chances of being approved for a loan. 3) Lowers your car insurance premiums. 4) Helps you to rent an apartment. 1) Always pay bills on time. 2) If you missed a payment, get current and stay current. 3) Never take on more debt than you can repay on your current income. 4) Keep credit card charges to 30 – 40% or less of your credit limit. 5) Don’t close old accounts as they contribute to a longer credit history. 6) Review your credit report annually to check for errors, identity theft, and issues that are pulling your credit score down. Checking your credit report and/or score does not hurt your score. 7) Minimize the number of credit cards you have. Opening new accounts lowers your score. 8) Have different types of credit, such as a mortgage or lease, education loan, car loan, and credit cards. 9) If you have never had credit, you will have no credit history. This can make it difficult to be approved for a mortgage or lease. 10) When shopping for a new car, do so in a short period of time, so it is viewed as a single inquiry rather than multiple. Multiple inquiries in a short time period will lower your score. This week lesson in our series on honoring God with our money covers way to deal with debt and to build credit. Today we will look at steps to pay off debts and ensure that debt does not entrap. 1) Determine in your heart to repay all your debts, as the Lord enables you. Psalm 37:21 The wicked borrow and do not repay, but the righteous give generously. 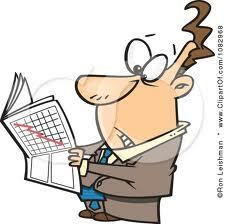 2) Establish a payment schedule that includes all creditors. Make a list of all debts from smallest to largest and/or according to interest rate. Determine to first pay off either (1) the smallest debt or (2) the debt with the highest rate of interest. Make minimum payments on all debts but the one to be paid off first. Allocate as much money as possible each month to paying off the debt being retired first. When one debt is paid off, concentrate efforts on the next debt to be paid off. 3) Contact creditors and asks for a lower interest rate. Many lenders will lower the interest rate to avoid default. 4) Contact all creditors, honestly relate your problems, and arrange an equitable repayment plan. 5) Buy on a cash basis, and sacrifice your wants and desires until you are current. Allow God to meet your needs without taking on more debt. 6) Do not cosign for another person unless you are able and willing to pay off the debt if he/she cannot do so. Proverbs 22:26-27 Do not be one who shakes hands in pledge or puts up security for debts; if you lack the means to pay, your very bed will be snatched from under you. 7) Do not count on future raises to pay for today’s expenses. Please feel free your tips for dealing with debt. This week’s lesson on honoring God with money focused on practical money-management tips. These ideas have been culled from books, magazine articles, and internet sites, including Crown Financial Ministries and Christian Financial Concepts. Today’s tips focus on ways to save on vacations and recreation, gift-giving, as well as general savings tips. Take a stay-cation. Take days trips to sites of interest in your general locale, go on picnics, visit museums, etc. Consider a camping vacation to avoid motel and food expenses. Christian friends can pool the expenses of camping items. Use Netflix or Redbox instead of going to the movies. Also, saves on popcorn and soda. If flying, use the least expensive coach fare (i.e., late night or early morning usually saves 10 percent to 20 percent). Check out books and movies from the library. Shop ahead for birthdays and anniversaries. Look for sales. Make gifts. Learn new skills, such as sewing and knitting. If your family is large, draw names. Or only buy Christmas gifts for young children and immediate family members. Help children earn money to shop for gifts. Consider sending cards rather than gifts. Look for things you need on Craigslist. Take unwanted items to consignment stores. Have ‘planned’ leftovers for lunches and dinners on busy nights. 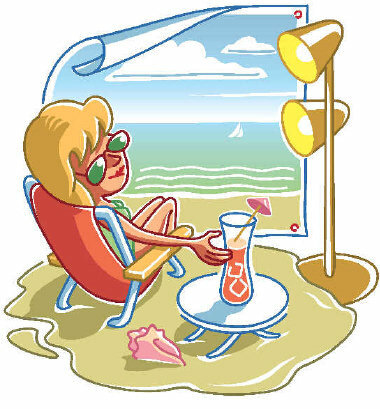 Use your curtains and/or blinds to hold in heat in the winter and keep out heat in the summer. Wash clothes in cool or cold water. Washing in cold water rather than hot water saves 60 cents per load. Don’t buy bottled water or $3 cups of coffee. Hang clothes out to dry. Cut out or reduce cable expenses. Reduce cell phone expenses. Consider eliminating your land line. Eliminate magazine subscriptions and look for articles online. Dishwashers save more water than hand washing dishes. Take reusable bags when you go shopping. Frame your own photos and art work to hang on the wall. When ordering online, look for free shipping. Don’t spend change. Put it in a jar and cash it in at the end of the year. Put half of birthday money/gifts in savings. Will your family be taking a ‘stay-cation’ this year? What fun activities do you have planned? What other tips do you have for saving money?